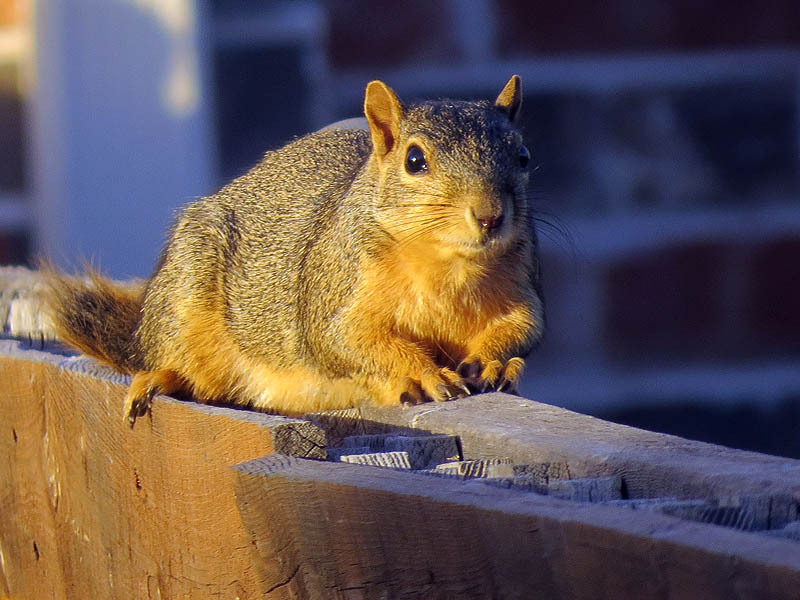 This Fox Squirrel was found lounging on my neighbor’s backyard fence. 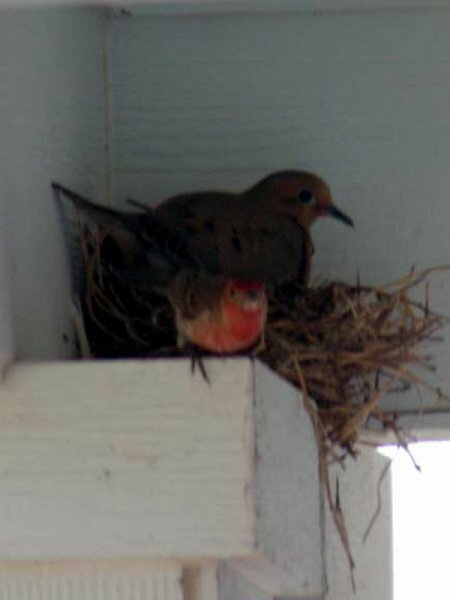 This big female has built her nest in a birdhouse hung in my backyard, and she surely has a brood of 4 to 6 youngsters she is caring for by this time of year. She looks tired to me! Female eastern fox squirrels come into estrus in mid-December or early January then again in June. They normally produce two litters a year, however, yearling females may only produce one. Females become sexually mature at 10 to 11 months of age and usually produce their first litter when they are a year old. Tree squirrels develop slowly compared to other rodents. At birth, the young are blind, without fur and helpless. Eyes open at 4 to 5 weeks of age and ears open at 6 weeks. 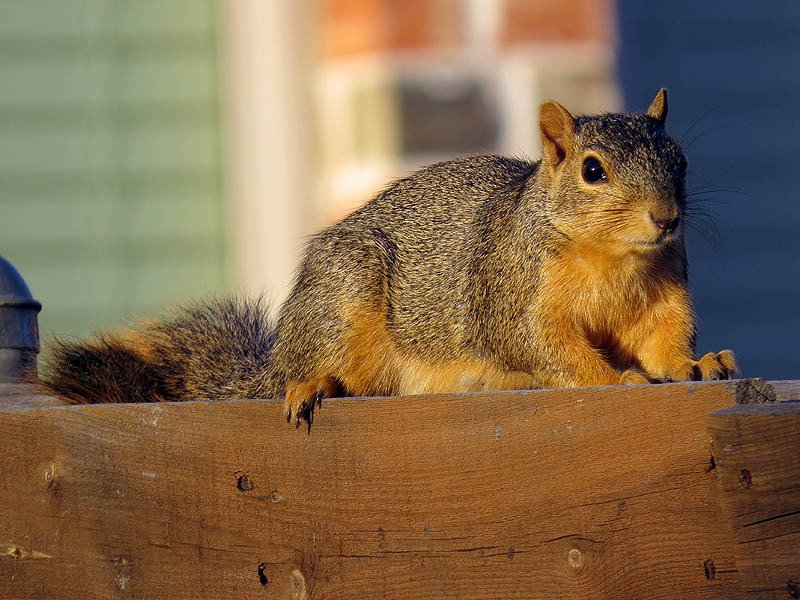 Eastern fox squirrels are weaned between 8 and 10 weeks but may not be self-supporting until 12 weeks. Juveniles usually disperse in September or October, but may den either together or with their mother during their first winter. Next Next post: Bald Eagle – Nest: Week Nine Eaglets!